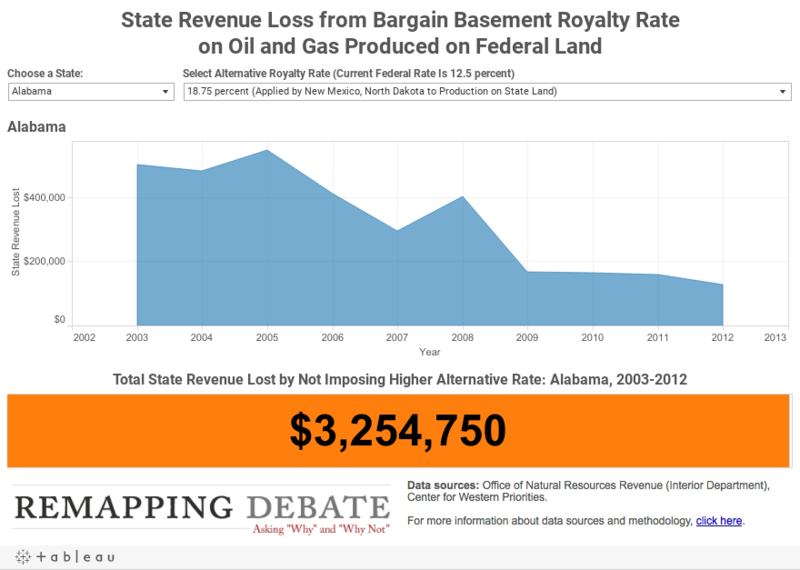 This visualization presents the revenue lost to each state. Once again, select a an alternative royalty rate. The aggregate amount lost to each state in the 2003 to 2012 period is shown in the orange box at the bottom of the visualization. For more information about data sources and methodology, click here.